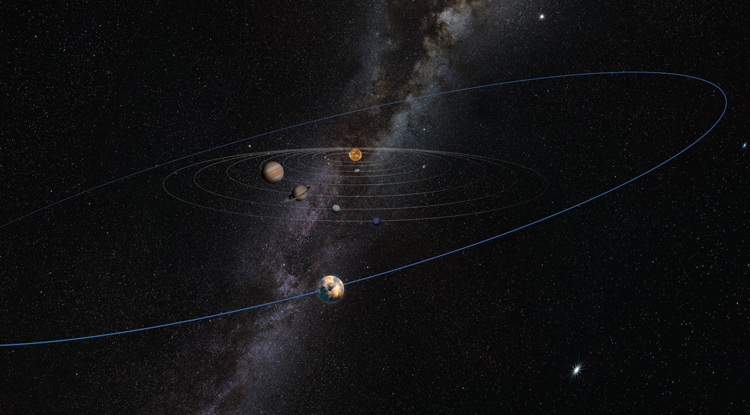 An unknown, unseen "planetary mass object" may lurk in the outer reaches of our solar system, according to new research on the orbits of minor planets to be published in the Astronomical Journal. 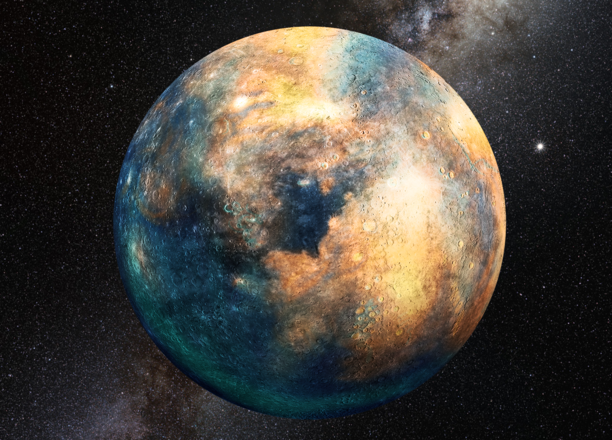 This object would be different from—and much closer than—the so-called Planet Nine, a planet whose existence yet awaits confirmation. "We expect LSST to bring the number of observed KBOs from currently about 2000 to 40,000," Malhotra said. "There are a lot more KBOs out there—we just have not seen them yet. Some of them are too far and dim even for LSST to spot, but because the telescope will cover the sky much more comprehensively than current surveys, it should be able to detect this object, if it's out there." This is a strange comment but here it is: Smith's cloud is surging ahead in its return to a galactic environment, as it closes, the magnetic field inside will collects itself and represents as a red or brown dwarf. I think this happens to all gas clouds and all dwarfs. There are two sides of the same coin. I think our sun Sol blew a gas bubble sphere under high pressure and extreme magnetism and that gas sphere enveloped the Earth from which inside we humans experienced high magnetism and low gravity. I think when the sphere lost cohesion the Earth experienced a global flood of vast proportions and increased gravity. I think the Moon condensed from the gas cloud thru plasma arcing as current Moon formation theories now claim that a massive impact was necessary to produce vaporization resulting in pure metals found on the Moon. Eris was almost 4 times as far away from Vulcan as Biden. Vulcan has always been in our solar system because it is less than 490 AAU away from the Sun and would not be ejected by a passing star. The next (dwarf ?) planet farther away would be at 74.3 AU distant from Vulcan. If it were captured at Vulcan's perihelion (like Eris may have been), it would be 134.8 - 74.3 = 60.5 AU (aphelion) from the Sun, almost precisely the 60 AU the U of Az astronomers have anticipated.